Drive out of Phoenix and keep driving. Drive past the saguaros, past the mountain curves, the empty high plateau dessert leading to the ponderosa forests of Flagstaff. Drive the long way from Arizona to New York. 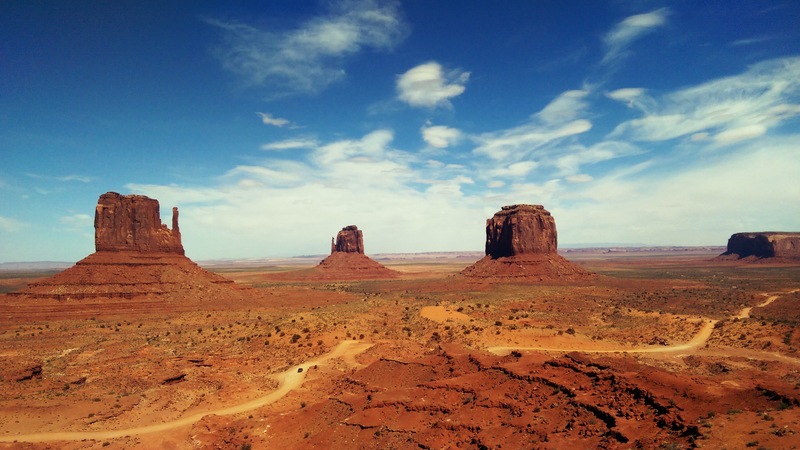 Drive to Monument Valley, deep in the Navajo Nation, a land mass of 27,413 square miles, yet serviced only by 5 or 6 grocery stores. We saw two, yet many more times this number of fast food restaurants: McDonald’s, Sonic, Burger King, Taco Bell, KFC, Subway. Each represented at least once, each now carrying an extra two per cent tax on their products, aimed to help fund the development of new green houses, community gardens, to help bring people to a previous form of food growing and feeding themselves. It’s a small tax, but a way to help end the food desert the land has become. Like a stupid tourist I wanted fry bread from someone raised on it, has lived it for all their years, can make it in their sleep. We found none. We ate Sonic. On a cold, windy and dusty day, a tater tot filled breakfast burrito was better than gas station pizza. I gladly paid the two percent tax. From there to Moab, where the hikers, mountain bikers and weekend warriors happily gorge on chicken fried steak and the pretense of health, a green salad, hold the cheese. As did I, honestly. We skipped the ice cream. Why do mountain tourist towns always have a crowded ice cream shop? Spa of the Rockies, Glenwood Springs, Colorado. 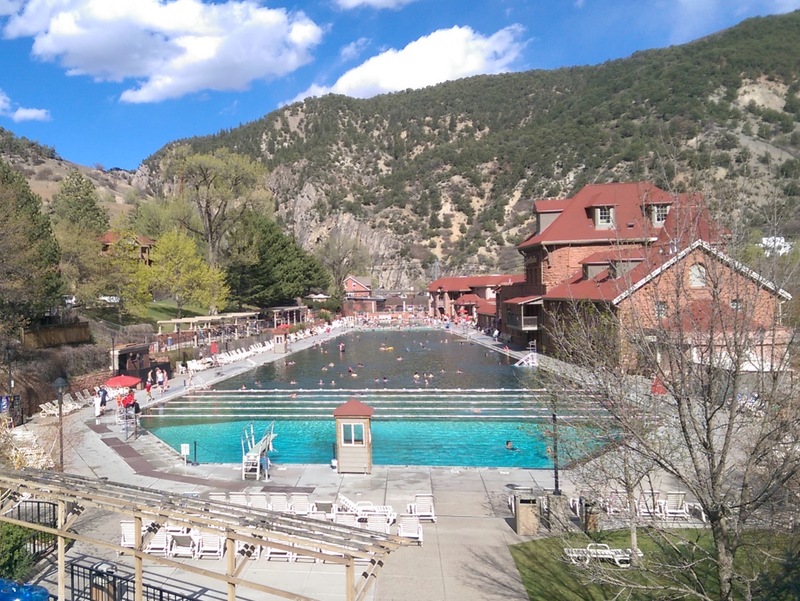 We swam the hot mineral waters of the Spa of the Rockies in Glenwood Springs, floating calmly in their brine, gently being warmed into human soup on a cold mid-April day. Doc Holiday tried to float his tuberculosis away here. 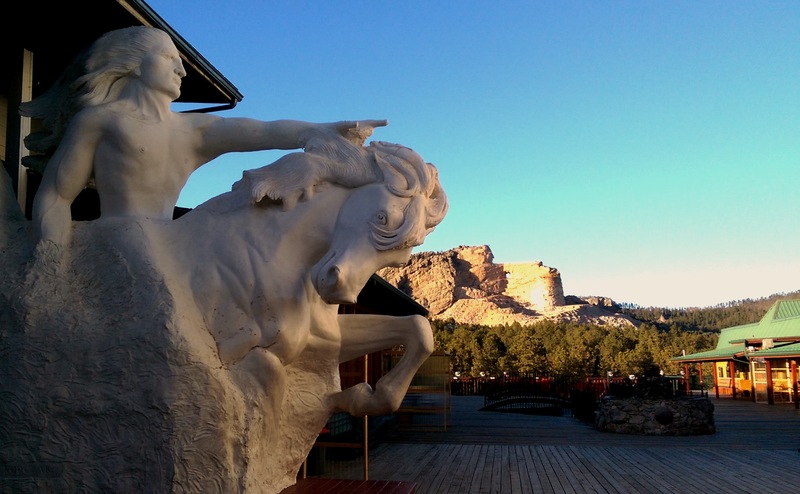 Teddy Roosevelt campaigned in this town, staying at the ‘one more creaky step away from haunted’ Hotel Colorado. Ghosts and floor creaks aside, history makes for a very comfortable bed. The road went north out of Denver, heading to South Dakota, crossing the dry southwest of Wyoming. Early spring is perhaps not the most attractive time of year to drive cross country, you forget this living in Arizona, a place where spring is full of blossoms, and leaves are always green leaves. Most of the country has just put away their winter gear, a thin layer of ‘keep me warm for the winter’ fat still on. Mid-April, and the farm fields are empty, the grasslands long gone, the hedgerows followed. I realized something during this trip – you can either see, or you can eat. It is very hard to do both. 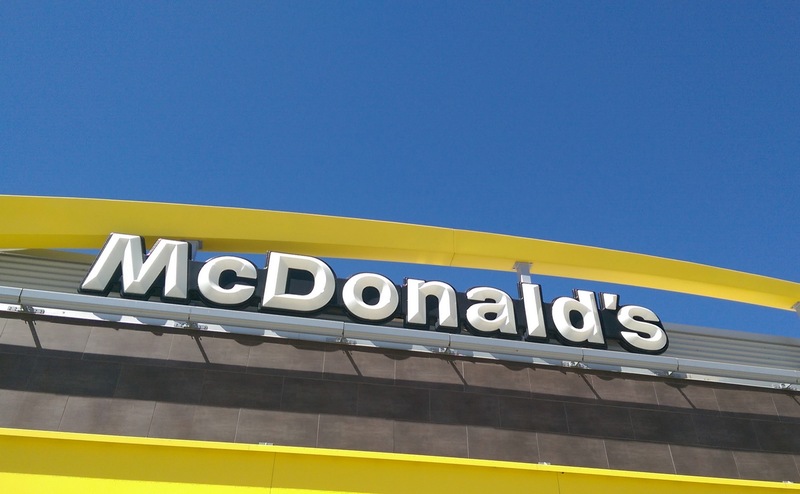 Despite the travel magazines best efforts to make you believe otherwise, American highways, interstates are not littered with hidden gems of culinary distinction, unless you consider a pre-packaged salad from McDonald’s haute cuisine. Hungry traveling beggars cannot be choosers, not when the urge to eat strikes suddenly in Wyoming and the trip includes a xanax-ed out dog and a decidedly non-foodie road trip companion. The roads of America are too vast, too near infinite to take you both to a great restaurant, and to a great sight, like the impossible dream of Crazy Horse in South Dakota, the solemn faces of Mount Rushmore, and Thomas Jefferson’s ice cream recipe, and get you there quickly. We spent night in Keystone, South Dakota, the town still shut up and waiting for the weather to warm up, the deer to stop being so brazen and back away from the streets, and the tourist to show up. All the hokey tourist traps boarded up, the places where I never spend any money, but where I always have a good laugh. The two of us included, the population of the town must have been 20 that night, all of us gathered at BarLee’s Food and Drink, eating burgers, BBQ and fries. Again, I remind myself to time a road trip a little better next time, but how else could we have walked right in to a place like Mount Rushmore, being greeted by no one besides a mountain goat and a rafter of wild turkey? 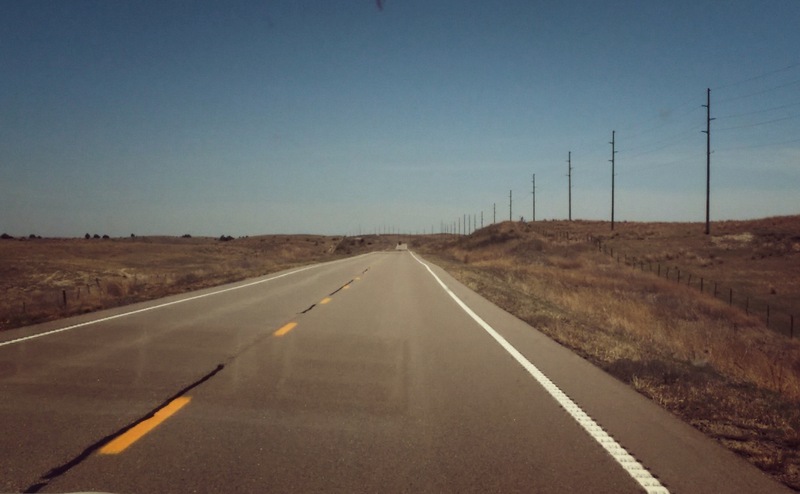 I said we took the long road, the only way which would have allowed us to drive the Black Hills of South Dakota, following them down to the nameless flat farm fields of Nebraska. 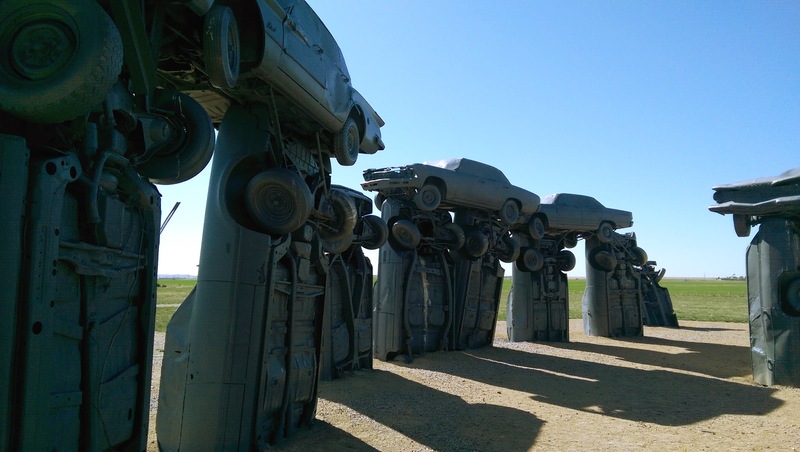 It is only the long road which takes you Carhenge. When else but on a cross country road trip can you finally scratch off the list your years long obsession with seeing Carhenge? Sure, Stonehenge has the mystery, the misty English country side, tea and crumpets – but it doesn’t have the fins of a ‘62 Caddy. Drive more and more, and suddenly the entire trip becomes one long straight road going seemingly nowhere. Nowhere that is except to the next ‘Jesus Saves’ billboard; the next anti-human evolution billboard, proudly showing a red circle and slash over the forms of primates transitioning into an erect human; going from one roadside fireworks shop, proudly selling Black Cat, Pyro King, bottle rockets by the bundle; faded old barns selling antiques, the relics of farms no one there wants, yet fill the wish lists of city dwellers; cows are the only moving, living things visible, scattered on a dry scrubby landscape, making me rethink the meaning of ‘Midwestern grass-fed beef’; tumbleweeds moving faster than the cars. The Midwest, the vast land we crossed on our way to New York, is a land which loves God and Jesus, beef, and setting fire to the night sky. It is not a land which loves science (when not applied to higher crop yields, faster and cheaper), nor is land which loves vegetables. We saw the last of vegetables which weren’t fried, smothered in cheese, or cooked to oblivion back in Colorado. The Midwest is not a land for kale, for dainty baby mixed greens, for perfectly blanched green beans or broccoli. You take your vegetables baked in a casserole and smothered in cheese, or you take no vegetables at all. Fruit comes as a dessert, encased in undercooked store-bought pie crust. Your trendy avocado toast has no place in the great windswept plains of the Midwest. Your grain bowls? Please. Grains are for cows to eat. Cows are for humans to eat. The Midwest does not care for your taste in locally grown food, for organic, sustainable food. It wants its meat, potatoes and casseroles; it is the place where you come to realize how heavily plant-based your diet has been all along, without having intended it. The blessing of the vastness of the Midwest is the time it gives you to think. 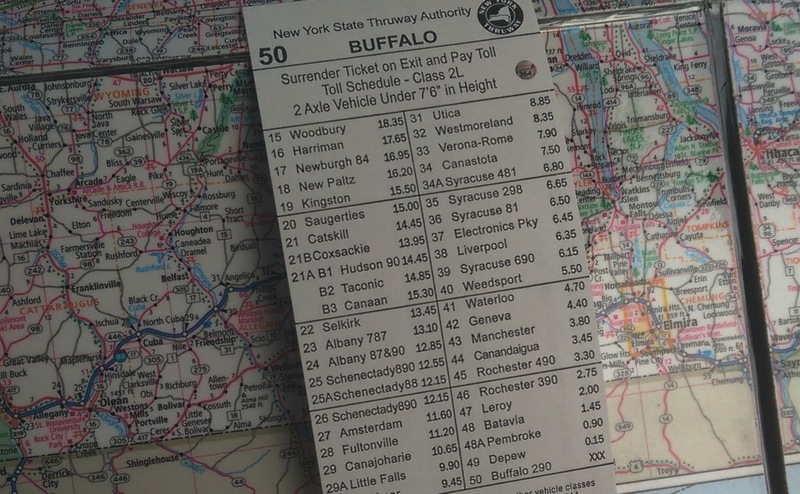 What would the food in Upstate New York be like? Would restaurants be higher up on the foodie chain than in Arizona? Would the farmers markets be more impressive? Would it be local, foraged, grass-fed, organic? This stream of thought interrupted by yet another terrifying ‘Jesus Saves’ billboard. I’m still working on those answers. A stop in Michigan, to the western side of the Metro Detroit area, provided a nice break from the relentless meat-eating on the road. Mexican food, and the requisite Middle Eastern take out. I swear, Detroit has better Middle Eastern food than the Middle East does. Hummus like silk, thick lemon-spiked lentil soup, $4 lamb or chicken shawarma sandwiches, perfectly rolled grape leaves stuffed with spiced lamb and rice. And Tim Horton’s. How did I spend so many years without the Tim Horton’s Fruit Explosion Muffin? A quick cut through Ontario, differing only slightly from the Midwest by road signs in English and French, cloudier, colder weather, and wind turbines spread throughout the manure-scented landscape. Sadly few Tim Horton’s on the way. I-90. An expensive road on which to travel. The four thousand miles of this trip made me vow to time my road trips to more aesthetically pleasing seasons. The greenery of the summertime, the colors of fall, the drifting snows of winter. But that horrible season between winter and spring? That soggy time of year when last winter’s leaves surface from under the ice and snow, the rotting smell of decay, the bareness of dried out tree branches. Living in the eternal summer of Arizona, I had forgotten of this time of year, this horrible in-between season, deserving of its own name. The $11.60 we spent on the I-90 bought us views of this dead time of the year, but also of creeks, rivers and lakes with actual water in them – something else that is quickly forgotten in the dryness of Arizona.